Someday soon, right after you pop open the Blue Apron box with tonight’s meal, you can use the box cutter to open your Prime Book Box, a new subscription service Amazon announced Tuesday, that will send kids new books on a regular basis, for $23 per order. The books are curated by Amazon for kids up to 12 years old. The deliveries to Prime members will occur every month, or every two or three months, and subscribers can skip months if they choose. Parents can switch out recommended books from a curated list of options. Amazon says if the total purchase price is less than $23, they’ll lower the fee for that delivery. Amazon has already been testing the service, offering the Book Box on a by-invitation-only basis since May. Prime Book Box claims by using the service, subscribers can save up to 35% off list price. If you put it like that — “curated book service” — it may sound like a brand new idea, but Book of the Month Club has been doing it since 1926, when it first shipped out “The Sun Also Rises” by Ernest Hemingway. It updated to a subscription service in 2015. Lillypost says it’s donated “over 20,000 books” that way, which gives some sense of the size of its business. Right now there are subscriptions for deliveries of everything from wine to coffee to razors and shaving cream. 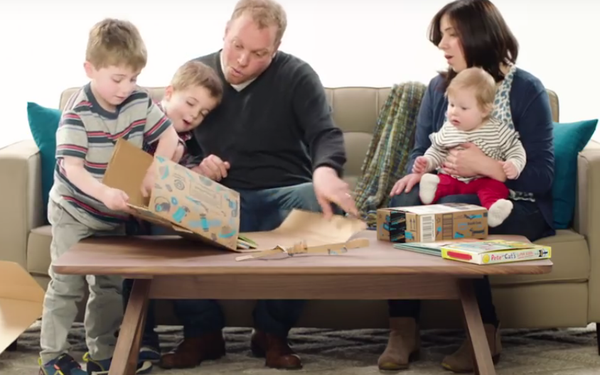 Since Amazon sells just about everything, its Book Box can be an interesting way for the company to gain new insights into families who are already Prime members, based on books Mom and Dad might choose (or reject) from the monthly list. Subscribers are asked to outline their preferences when they join. "As a mom who's spent over 20 years reading and reviewing children's books, the best part of my job is sharing a love of reading with kids and their families," said Seira Wilson, senior editor, Amazon Books, in a statement.